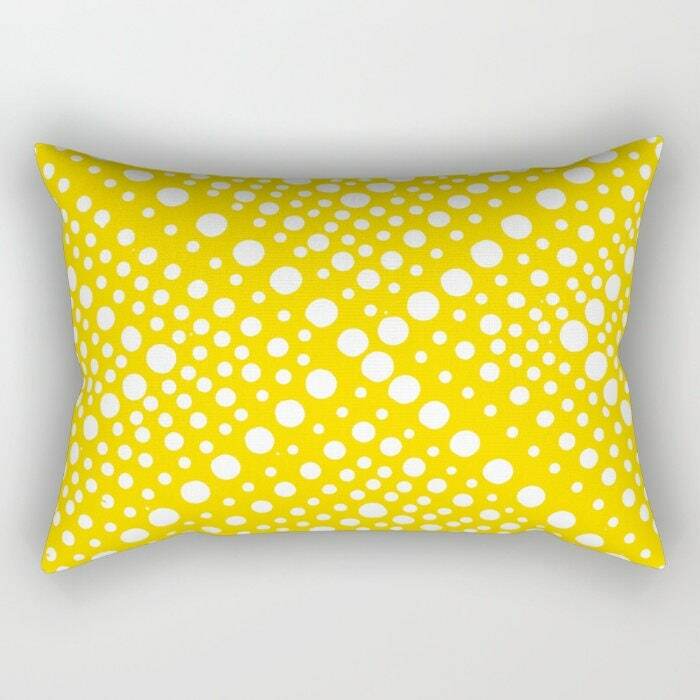 This fun modern Outdoor throw pillow made with waterproof and mildewproof fabric comes in a modern x-dot print in yellow and white. 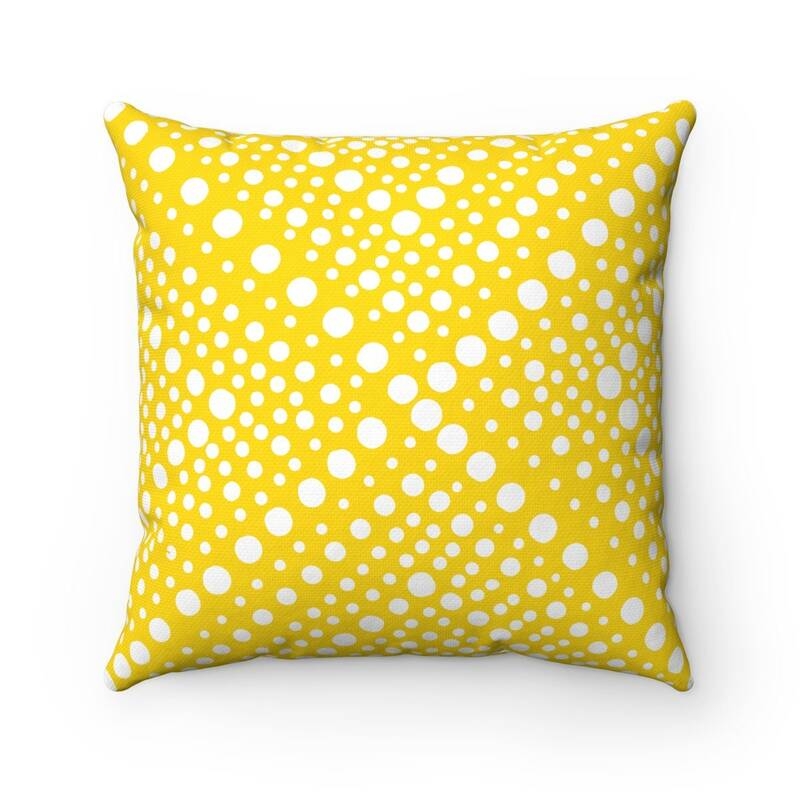 It's the perfect pop of color for your outdoor decor. Variety of other colors available, see my shop for the full range or request a custom color.